Get You In Shape’s Core Value #1 – Put people in a positive environment that creates encouragement, inspiration, accountability and motivation. Get You In Shape wanted to start off the year right with a proven way to get RESULTS from the start. A Team Biggest Winner Challenge the for 6 weeks in the beginning of 2018. We had 29 clients who participated and seven teams who all came together to help keep each other motivated and ACCOUNTABLE. The results were AWESOME. Over 145 Pounds lost and 204 Inches from the group! 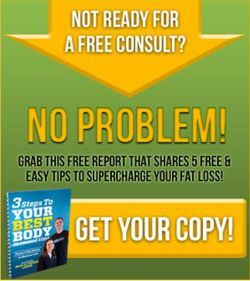 The average weight loss was 5.1 pounds and 7.0 inches in just 6 weeks. It was very hard to pick both a winning team and two individual winners. Lost a total of 36.8 pounds. They really embraced the contest and supported each other. Several added Cardio Club to their workout schedules. 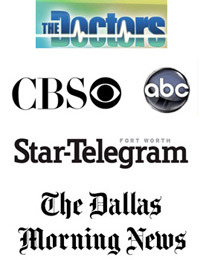 They posted above and beyond on the VIP page, their own pages and more. Describe how the Get You In Shape Biggest Winner Contest has helped you these past 6 weeks? Having a 6 week goal with a group helped me, not too short- not too long. Accountability – team reaching out to each other. My fitness pal—enough said. Writing down what I put in my mouth is very eye opening. Daily message from Coach helped me focus on important goals, examples……water- stretching-posture. How the Get You In Shape Biggest Winner Team Challenge has helped you these past 6 weeks? The GYIS Biggest Winner contest has helped me stay motivated to reach my “So That’s”. Having a class to go to 5 or 6 days a week where I knew I would find my teammates, or one of the other people I have met since joining GYIS, kept me dedicated to showing up each day. Knowing that I had a 6-week commitment, it was easier to try to implement ALL of the program from the meal plan, to the classes, to MyFitnessPal, and even to Facebook….though I’m not much of a ‘face booker’ (that was probably the hardest part for me!). Having VERY motivated coaches, such as Billy and Karen, also kept me on track. They both welcomed me on their respective days, bootcamp or cardio club, with a friendly face and guided me to improving my fitness through proper techniques for weights and running. I really appreciated learning more about how to do things the ‘right’ way so that I get the most benefit from the exercise. All of the coaches were friendly, welcoming, and made the classes un-intimidating, albeit strenuous and challenging. What have been some of the benefits and results from the Get You In Shape Biggest Winner Team Challenge over the last 6 weeks? Benefit #1 – l am now cinching my belt one notch tighter! Fitting into my clothes better, feeling great about the exercise I’ve been doing, looking more toned and slimmer are all other benefits! I know I’ve only lost about 6 or so pounds, but I’m sure that I’ve built some muscle and hope to shed a few more pounds/continue to get slimmer as the weeks go on. I know that my legs are stronger and I can run better than I could 6 weeks ago…it helped that I REALLY enjoyed Cardio Club. 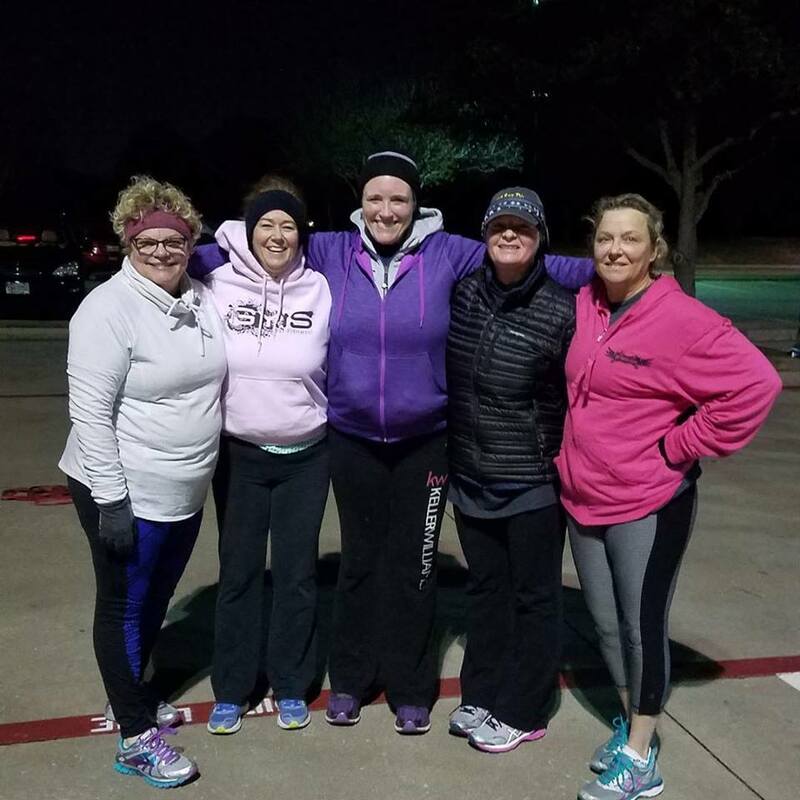 Karen kept the workouts fun and she taught me about running intervals to get stronger and faster. It “almost” didn’t seem that hard…but I KNOW I got a great workout each time based on my results. Getting into a routine of exercising regularly has really helped me to re-establish a healthier lifestyle. Thanks to all of you for keeping us all motivated, encouraged, and on our way to healthier selves!! 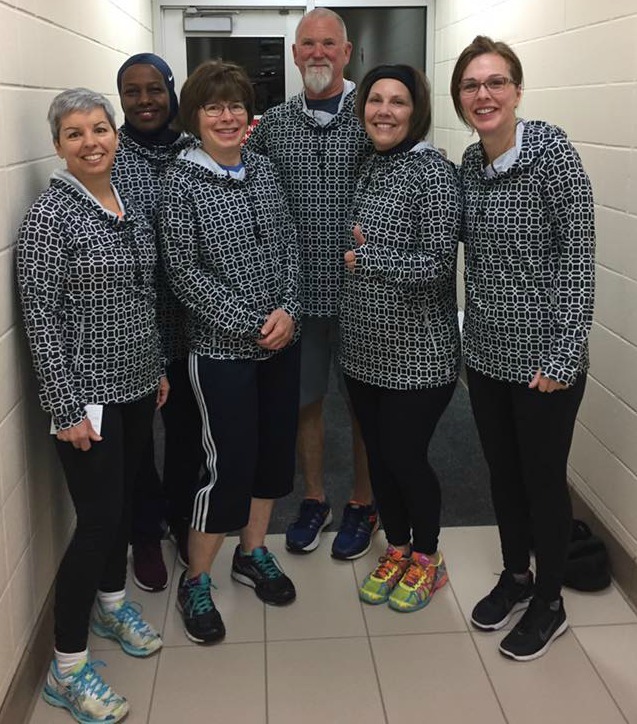 Winning Team – Team FLASH – Lost 36.8 Pounds and 50.5 inches in 6 weeks! Team: Daybreak Diva’s – Lost 1.4 pounds and 13.75 inches in 6 weeks! Team: No Name’s – Lost a total of 39.6 Pounds and 19.141.8 inches in 6 weeks! 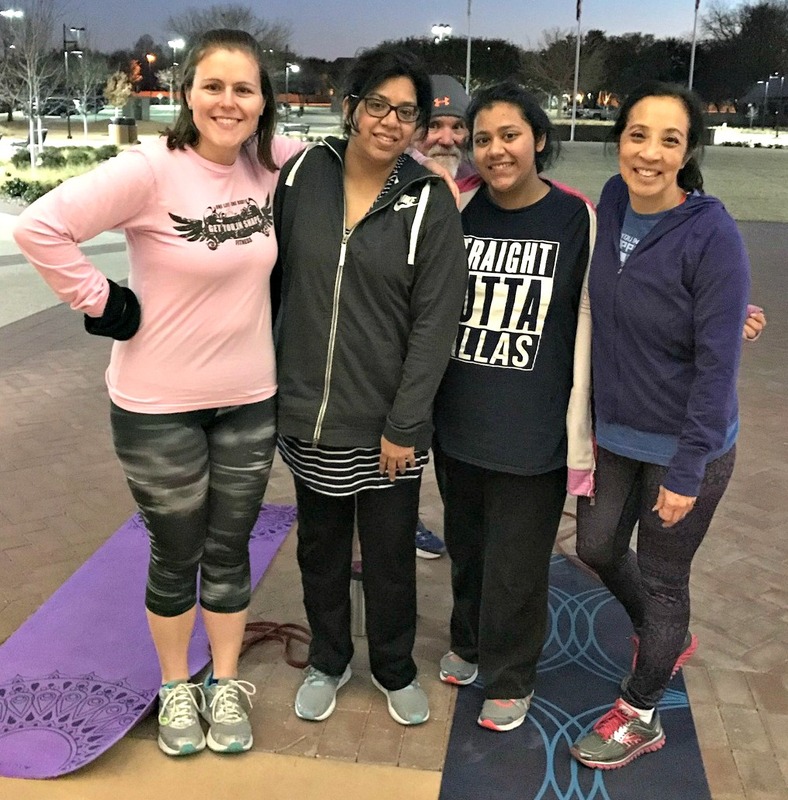 Team Name: Sunrise Sweeties – Lost 8 Pounds and 26 inches in 6 weeks! 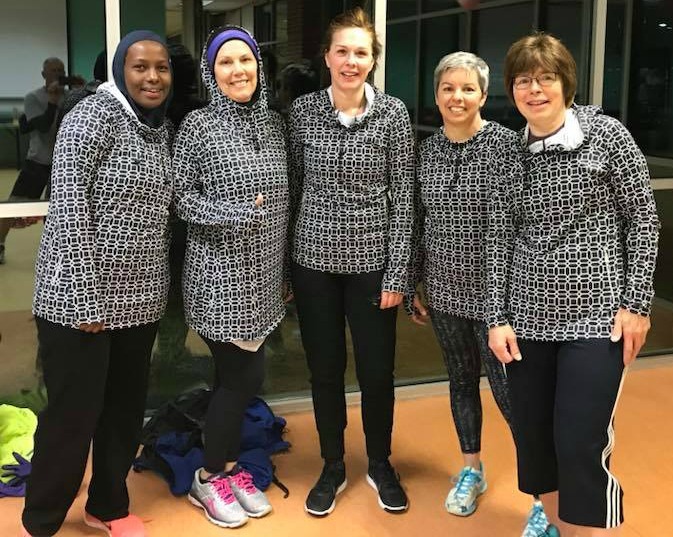 Team: Downsizers – Lost 26.8 pounds and 39 inches in 6 weeks! Team: Weapons of Mass Reduction – Lost 27.4 Pounds and 22.5 inches in 6 weeks! Team: Bliss – Lost 11.6 Pounds and 12.1 inches in 6 weeks! Winning Team – Team FLASH. Lost a total of 36.8 pounds. They really embraced the contest and supported each other. Several added Cardio Club to their workout schedules. They posted above and beyond on the VIP page, their own pages and more. Mary Brown – 6.4 Pounds in 6 weeks! Describe how the GYIS Biggest Winner Team Challenge has helped you these past 6 weeks? It’s good way to reset/get a renewed focus on eating well. Meeting and getting to know new people in GYIS. Enjoying the team and encouragement we got from each other. What have been some of the benefits and results from the GYIS Biggest Winner Team Challenge over the last 6 weeks? I lost 4% body weight and more wt loss than my husband Bill ( it was a contest after all) and some inches lost. Have more to go but an excellent 6 weeks. Carol Orlich – 10.8 Pounds in 6 weeks! Describe how the GYIS Biggest Winner Team Challenge has helped you these past 6 weeks? Having a 6 week goal with a group helped me, not too short- not too long. Accountability – team reaching out to each other. Rehma Ingabire – Lost 9.8 pounds in 6 weeks! Describe how the GYIS Biggest Winner Team Challenge has helped you these past 6 weeks? Motivation, it helped me to be dedicated to my workout. Also it helps me to be accountable to what I eat and drink. Also I drink more water than I did before I started GYIS. What have been some of the benefits and results from the GYIS Biggest Winner Team Challenge over the last 6 weeks? It is the best think I have ever done for myself. I worked out at other gyms but never noticed a difference until I joined GYIS. As I joined GYIS I loved how I got to work out every day with a team (FLASH) – (F)it (L)adies (A)lways (S)tay (H)ealthy). I worked out every day, I changed my eating habits, and I gained strength and energy. On my first mile run it took me 14:32min the last time I did it took me 11:20min.! Diana Sircar – Lost 8.8 pounds in 6 weeks! Describe how the GYIS Biggest Winner Team Challenge has helped you these past 6 weeks? The GYIS Biggest Winner contest has helped me stay motivated to reach my “So That’s”. Having a class to go to 5 or 6 days a week where I knew I would find my teammates, or one of the other people I have met since joining GYIS, kept me dedicated to showing up each day. Knowing that I had a 6-week commitment, it was easier to try to implement ALL of the program from the meal plan, to the classes, to MyFitnessPal, and even to Facebook….though I’m not much of a ‘face booker’ (that was probably the hardest part for me!). Having VERY motivated coaches, such as Billy and Karen, also kept me on track. They both welcomed me on their respective days, bootcamp or cardio club, with a friendly face and guided me to improving my fitness through proper techniques for weights and running. I really appreciated learning more about how to do things the ‘right’ way so that I get the most benefit from the exercise. All of the coaches were friendly, welcoming, and made the classes un-intimidating, albeit strenuous and challenging. What have been some of the benefits and results from the GYIS Biggest Winner Team Challenge over the last 6 weeks?Benefit #1 – l am now cinching my belt one notch tighter! Fitting into my clothes better, feeling great about the exercise I’ve been doing, looking more toned and slimmer are all other benefits! I know I’ve only lost about 6 or so pounds, but I’m sure that I’ve built some muscle and hope to shed a few more pounds/continue to get slimmer as the weeks go on. I know that my legs are stronger and I can run better than I could 6 weeks ago…it helped that I REALLY enjoyed Cardio Club. 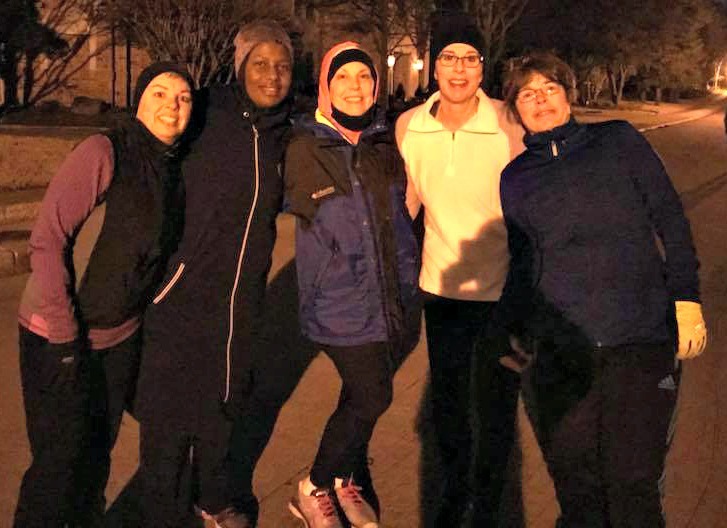 Karen kept the workouts fun and she taught me about running intervals to get stronger and faster. It “almost” didn’t seem that hard…but I KNOW I got a great workout each time based on my results. Getting into a routine of exercising regularly has really helped me to re-establish a healthier lifestyle. Debbie Slayter – Lost 5 inches in 6 weeks! What have been some of the benefits and results from the GYIS Biggest Winner Team Challenge over the last 6 weeks? I’m in a regular exercise routine again, and even though I’m not a morning person I’ve been committed to the 5:30 a.m. class. After the first meeting for GYIS I will admit I felt a little overwhelmed and like I had a case of information overload. I ended up liking the encouragement and I really liked all the women I got teamed up with but I’m pretty sure they did a better job following all of the rules. It’s not that I didn’t want to follow all of the darn instructions, it’s just that when I get overwhelmed I simplify and that’s what I had to do to make it work for me. So saying that, my number one goal was to get into an exercise routine and I feel like that’s something I accomplished! Now that I’ve got the exercise going, I’ll focus more next on the diet. Looking forward to the next 6 months! Team Members – Malinda Pisciotta, Theresa Stevens, Robin McCoy, Carol Jackson and Becky Loria. Describe how the GYIS Biggest Winner Team Challenge has helped you these past 6 weeks?Participating in the Biggest Winner Contest has helped me refocus my health and wellness goals back to my “so that”. It has been a great opportunity to return to making healthy choices for myself each and every day. What have been some of the benefits and results from the GYIS Biggest Winner Team Challenge over the last 6 weeks? I achieved 6 total inches lost and credit the members of my team for helping me maintain a positive attitude especially on the days when I struggled to make good choices. Their daily support and encouragement are priceless. Describe how the GYIS Biggest Winner Team Challenge has helped you these past 6 weeks? The biggest loser has made me accountable to others as well as myself. The team camaraderie really makes you pay attention to what you’re eating. What have been some of the benefits and results from the GYIS Biggest Winner Team Challenge over the last 6 weeks? I have benefited by using MyFitnessPal and Striving to hot all the goals. Keeping up with the team helped create better habits. Describe how the GYIS Biggest Winner Team Challenge has helped you these past 6 weeks? The Biggest Winner Contest helped my get back on track after the holidays. It made me recommit to working out and making it a priority. It also helped me refocus my eating by making healthier choices and reducing portion size. What have been some of the benefits and results from the GYIS Biggest Winner Team Challenge over the last 6 weeks? One of the many benefits is my measurements have gone down. I feel stronger and my clothes fit better. It also made me realize working out alone will not yield the results I want. I must follow the “darn instructions” and eat healthier as well. Focus on my “So that” to help with the triggers that may lead to less desirable choices. 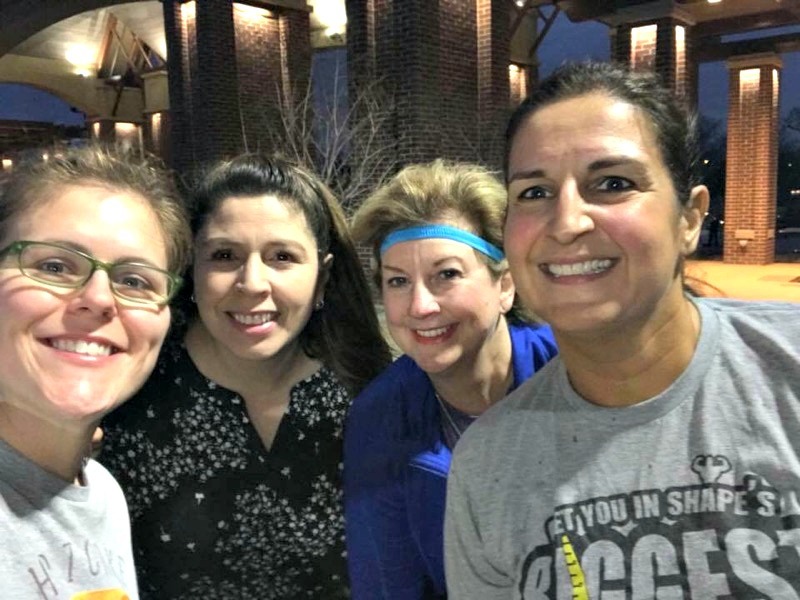 I loved reconnecting with my workout tribe! It was exactly what I needed after a busy holiday season and being sick. Describe how the GYIS Biggest Winner Team Challenge has helped you these past 6 weeks? It has helped in trying yp keep me on task. To have a commitment I made 6 weeks ago shows me how great it is plus how easy it is to get off the program. What have been some of the benefits and results from the GYIS Biggest Winner Team Challenge over the last 6 weeks? Having a team to count on and to hold me accountable. I signed up for and finished a 5K race due to Cardio Club commitment. I can do this program without myfitnesspal food journal, but better results with it. Describe how the GYIS Biggest Winner Team Challenge has helped you these past 6 weeks? The contest helped keep me focused on health and wellness goals and to stay active during this sometimes cold weather. What have been some of the benefits and results from the GYIS Biggest Winner Team Challenge over the last 6 weeks? The benefits are meeting new friends and all of the support and encouragement along the way. 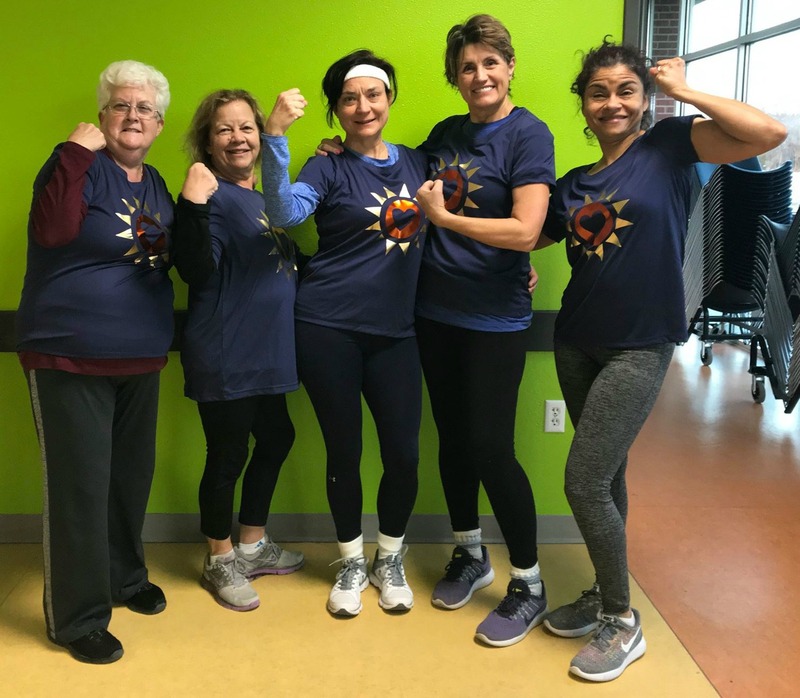 Describe how the GYIS Biggest Winner Team Challenge has helped you these past 6 weeks?The biggest winner program has really helped me incorporate healthy habits into my life. I have increased my water intake bc of the program. I have also enjoyed the tracking of progress by measurements. It really shows how your workouts help not just through weight. I have learned how much I enjoy a good workout! My husband and I are shocked to hear me say that. What have been some of the benefits and results from the GYIS Biggest Winner Team Challenge over the last 6 weeks? The biggest benefit I have seen is my desire to get up and go to my workout. I am not a morning person but I am excited to hit the road at 6 am to get to the 6:30 am session. I feel so accomplished for the day. Nothing gets in the way of my workout at that time of the morning. This has eliminated a lot of stress. It has also built consistency into my daily routine. What have been some of the benefits and results from the GYIS Biggest Winner Contest over the last 6 weeks? Lost 1.3 inches & 5.8 pounds! Describe how the Get You In Shape Biggest Winner Contest has helped you these past 6 weeks? Caused me to refocus on eating better; not just low calorie but better overall nutrition. Gave me daily accountability and motivation to drag myself to workouts and cardio those times when I didn’t really want to go. What have been some of the benefits and results from the GYIS Biggest Winner Contest over the last 6 weeks? Eating better, upped protein from 20% to 30% over last 4 weeks, Feel like I have more energy and lost 7.8 pounds. Describe how the Get You In Shape Biggest Winner Contest has helped you these past 6 weeks? This contest has helped me focus on what I am eating and how much I exercise. Logging my meals and exercise into MyFitnessPal has has helped tremendously as well as having team members that hold me accountable (no slacking off on off day cardio!). What have been some of the benefits and results from the GYIS Biggest Winner Contest over the last 6 weeks? I have developed much healthier eating habits and have a better workout routine. I have lost weight and inches but gained energy and confidence. Go Team Downsizers! Describe how the Get You In Shape Biggest Winner Contest has helped you these past 6 weeks? The GYIS Biggest Winner Contest definitely helped me by being accountable. . I did not want to let the team down and made an all-out effort to do what was expected for the contest. I hadn’t worked out much in the last year due to work and life situations so the contest helped me get back on track. What have been some of the benefits and results from the GYIS Biggest Winner Contest over the last 6 weeks? (1) Over the last six weeks, most importantly I lost weight and inches. (2) Daily I tracked what I ate and tracked my exercise. (3) I ate breakfast, (4) I packed snacks for the week and took to work. I never got bored, because I would do several variety items. (5) I planned meals and made decisions about eating out prior to going to a restaurant. Working out and eating right go hand in hand, so both worked well for me. Competition is always good, but having teammates makes it more fun than trying to do it alone. Describe how the Get You In Shape Biggest Winner Contest has helped you these past 6 weeks? To be accountable. Team commitment an being responsible. Friendly environment and got to know more friends. What have been some of the benefits and results from the GYIS Biggest Winner Contest over the last 6 weeks? Accountability & team pressure to get results. I like being on a team… we work well together! !